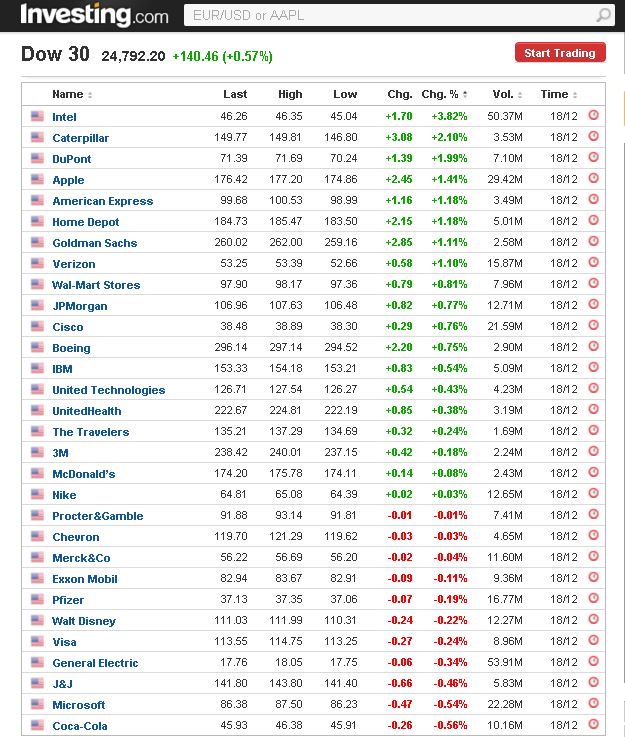 A typical scan of DJIA component stocks for price action anomalies successfully identified the two stocks with highest gain and loss for Monday, December 18, 2017. The scan results show INTC with highest probability P for a long and KO with highest probability P for a short. Based on the change from open to close, INTC rose 2.46% and KO fell -0.6%. In daily scans we use adjusted data starting on 01/03/2000. We update the data daily and then re-run the scans. 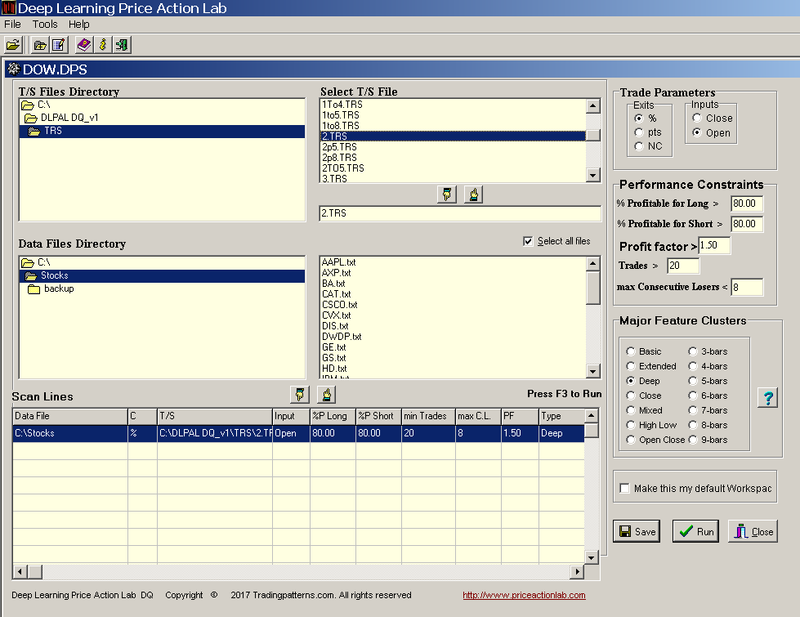 We also do that for various other stock groups. 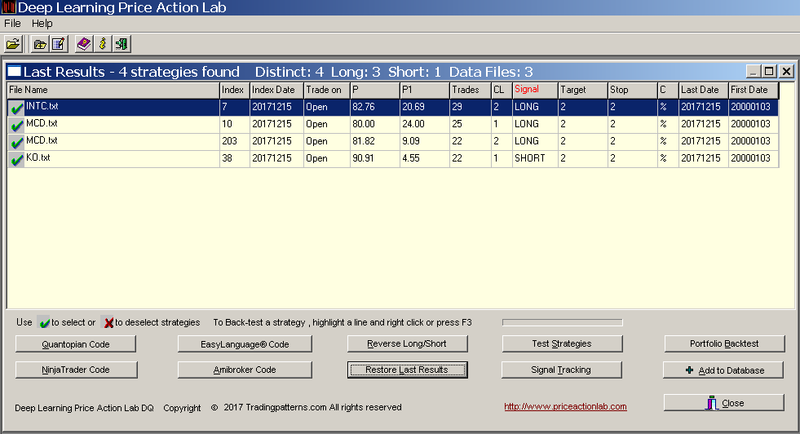 Note that identification of the largest winner and loser is rare result but demonstrates the potential of the software. There are high risks in trying to identify price action anomalies due to periods of time when quantitative analysis cannot differentiate successfully between the signal and the noise in data.